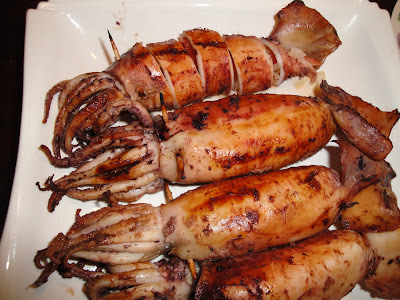 I took out the gut of the squid and stuffed it with chopped up onions and tomatoes. 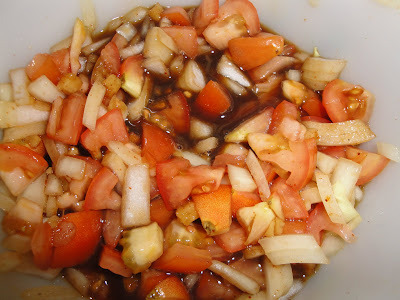 I put soy sauce and sprinkled it with black pepper. This was my first time doing this kind of menu, I am not even sure if there's a recipe like this hehehe. I just made it up and the result is awesome. 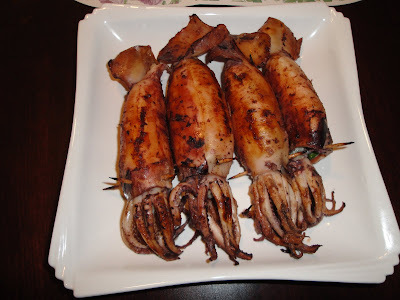 Too bad my kabarangays are not fond of squid so I am the only one eating it. I freeze three of them, now I am down to one lol.. 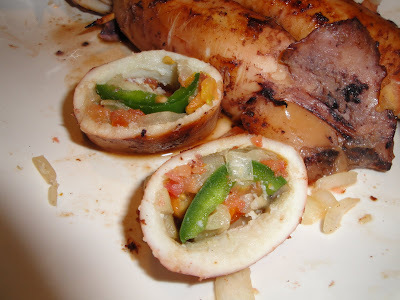 I found one jalapeño in the fridge so I cut it in half, removed its seeds, stuffed it with the salsa and then I put it inside the squid's tummy. I like it better than the one that does not have jalapeño. I put foil on top of the grill so it won't burn easy. 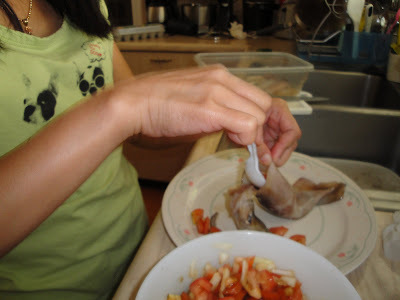 Oh after you stuffed the squid, make sure to put tooth pick to it so the stuffing wont come out. Try it guys, it is soooo good! 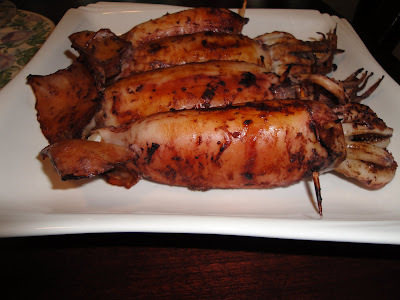 My new creation, grilled stuffed squid! Happy Yummy Sunday! Hey guys, I would like to invite you to please vote for my daughter's smile. You can find the link on my side bar.. thanks a lot! We bought it for her when we had our 4-day get away in Osan last year. We are not Chinese but she love the costume so we got it for her. The serious look! She was three years old in this picture. This is very memorable to me because she cut her bangs by herself, can you tell?